It can be used for terraces, balconies, roof gardens, podiums – in fact anywhere an instant high quality paved area is required. With its very low structural depth, TredWay is ideal for all projects where height is a concern, especially at door thresholds and low parapets where a traditional option may take up at least twice the space. It is simple to install, essentially maintenance free and water-permeable to allow integration with existing drainage systems. 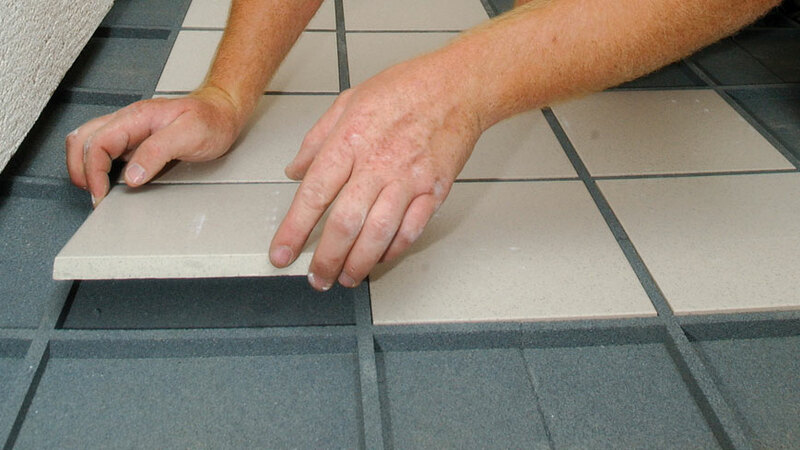 The TredWay system uses a unique modular rubber base to carry a range of stone cast tiles, aluminium outlet covers and drainage grilles. 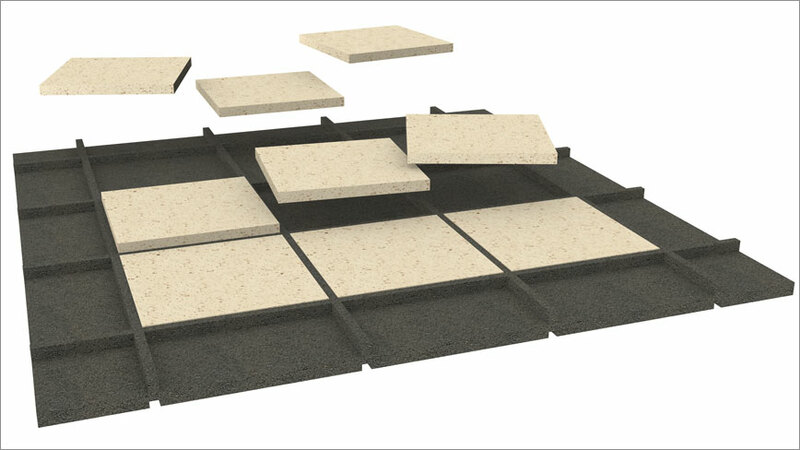 The modular base pad has also been designed to reduce airborne and impact sound through the system. This is especially important where a terrace or roof balcony is above a habitable space. 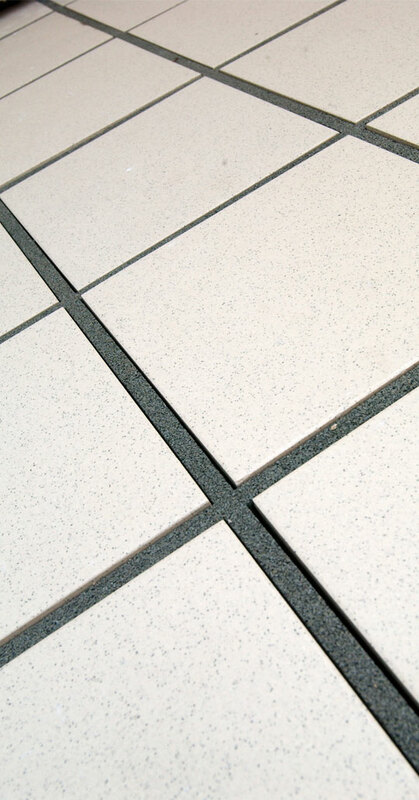 Tredlite is a variation of the TredWay system; it is lighter, has an even lower profile and uses marble granules mixed with a binder to create a unique paved surface. TredWay and Tredlite give you a wide range of colours and textures to meet any design requirements.